Happy New Years to everyone on Pinkbike! Read on for the top photos and videos from 2008! BCDC Productions Presents Celerity, a movie showcasing the talent of local Central Oregon riders, riding at location across the northwest. Locations such as; Tamarack, Idaho, Post Canyon & Windells Camp, Oregon, and of course, Bend Oregon. We also covered the Wham Bam Thank You Jam at the Lair, in Bend. “HERCULES MOUNTAIN BIKING HIMACHAL”. Two weeks of high altitude mountain bike racing in one of the highest playgrounds in the world, “The Spiti valley” of Himachal Pradesh. 430 kms, 8 days of riding, over 16,000 meters in elevation gain, 2 Himalayan Passes as high as 4650 meters above sea level, thousand year old monasteries, prayer flags, a high altitude lake which goes by the name of “Chandratal”, meaning “Lake of the Moon”. Harookz just relaunched his website and things are looking great over there. 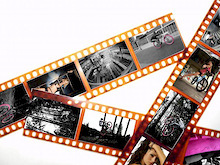 As one of Mountain biking's top photographers you can be sure that his site is full of banger action shots and amazing lifestyle pics. It has been really wet lately, so we made gravel jumps to keep from going insane. Living in Hawaii has many advantages. One of them is riding year round. We have been enjoying our riding time as much as possible thanks to the new pumptrack we built. Pinkbike Christmas Party - Burning rubber and Women go well together. Everyone looks forward to Christmas time, regardless of your religious beliefs. Everybody has a hard time sleeping, wakes up with cold feet, stays up late, and wakes up early. Christmas time is a time of year that everyone is happy with. Excessive breaks from work make it an exciting holiday with lots of time to visit with the girlfriend, wife, kids, chairlift, whatever you may need to spend time with. 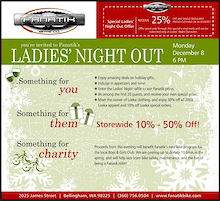 Another evening we all look forward to is your Christmas Party with co-workers. You have yelled, argued, fought, swore, screamed, and praised your co-workers all year, and now is a chance to enjoy a night out with them, where no work will be talked about. The work Christmas Party is an awesome event to end the season on, so here's a small write up on what we did this year. This fall has been a very unique experience for me. Normally I spend my fall and winter up in the Northwest Territories working in the exploration industry looking for diamonds. With the unfortunate market crash, there has been a shortage of work for me. So what do you do when that happens? Ride your bike everyday. This fall has been incredible. Perfect weather, perfect conditions and all the time in the world. This November I rode my mountain bike 29 out of the 30 days, and it has been the most incredible month of my life. The Greatest sport in the world! An outline explaining why Downhill Mountain Bike Racing is the greatest sport in the world, and why all others are inferior to it. The fourth anniversary of the one and only winter mountain bike slopestyle competition - the White Style - hits Leogang on Friday, January 30th. Invited riders from all over Europe make their way to Austria to show their skills on snow. The Hanover Freeriders worked late into the season, and some major progress has been made in getting this park rolling and open. However, now everything is wrapped up for the year and it seemed like a good time to recap on the first season of The Hanover Freeride Park and it's trails designed to cater to the beginner to intermediate riders out here in Ontario. It’s the season and so there must be a Boxing Day sale. 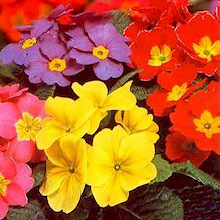 For one day only…sign up for the Intermontane Challenge for $1000 (GST included). That’s a savings of over $300! There will be no standing in lines with others hoping to get that one great deal in that store. Just grab your coffee and sit down in front of your computer and get the best deal in adventure mountain bike racing. No elbows…no pushing and shoving to get that prized sale item. Now that’s a sale worth getting in on. Muys nails Hoath with 20 to go. Takes the win and throws a wrench in the current pro standings! It's been one hell of a haul but no doubt a blast, filming with some of the best riders in some of the most beautiful places in the world. We are proud to bring you "Barred For Life". Over the past year we've been working hard on our new film "Barred For Life", capturing some of the worlds best in locations like Norway, Utah, California and British Columbia. This summer has seemed like a never ending bike trip. As soon as I am done one thing, it is on to the next. Fortunately the next thing up was a Mace gear photo shoot in a place called Blue River B.C. Granted, Blue River is not the biggest town in the world, but from what I was hearing there has been some awesome activity on trail building and I was pretty pumped to go see what had been going down. 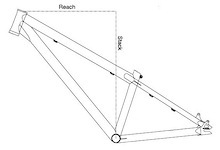 In a joint effort between Turner and Transition bikes, a new standard for mountain bike frame sizing has been introduced. This new standard is based around reach and stack measurements, and is intended to clarify bike fit across bike models and brands. Ogio 9800 Gear Bag Review. Ogio's 9800 Moto gear bag is luggage done the MX way. 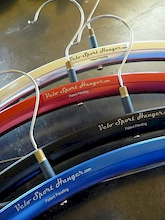 It is made to withstand a biker's beating with its tough material, zippers, and buckles. Packing mountain bike or motocross gear is a heavy job, so Ogio equipped the 9800 with its SLED system (structural load equalizing deck)to make handling easy. Equipped with oversized wheels and a retractable pullman handle for maneuverability, the bag's multiple grab handles and straps make it breeze to secure for road trips. Gondola tower partially collapses at Whistler! 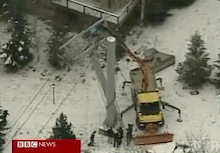 Just seen on the BBC news, that there's been a partial collapse of one of the Gondola towers at Whistler, which has left 50 skiers and snowboarders trapped. Don't really know much about this one, and I'm guessing there will be more about it on the Canadian news tonight. But here's a brief overview of what's happened. San Diego young guns build trails and shred them! Local San Diego DH riders Luca Cometti, Dakota Goulder, Sami Gowdy, Lucas Cowan, And Alex Silverman age 13 to 16 decided, last summer they were going to change their selfish ways of riding without ever maintaining or building new trails. They realized if so much time was spent riding their local spots why not put some time into maintaining trails, as well as building new trails for their fellow riders. Travel to New Zealand For Adventure! 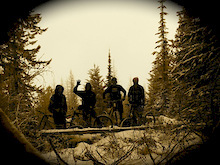 Welcome to the most exciting mountain bike tour on the planet.... our New Zealand Fat Tire Tour. Access the best trip of your life in New Zealand! Looking for a mountain bike trip with a real difference? Ready to experience some real fun south of the equator in Middle Earth? Our New Zealand Fat Tyre Trip is your prescription for summer time riding during North America's winter season. The access to New Zealand that this trip offers is un-surpassed. Escape the winter chill and head down to New Zealand for the ultimate mountain biking trip...a tour through the South Island's top regions and best towns. Enjoy expert guiding, the best single tracks, unforgettable helicopter access riding, gravity assisted and cross country ride options, stylish accommodations, and local guides. Bang Bang - A journey with Chase, McCaul, and the whole squad. Bang Bang is a action documentary by Aaron Chase. For you of those that didn't know, Chase broke his L1 vertebrae in his back during the 2007 season. Chase says "I was sitting there, looking down at my legs, and I couldn't feel them. It was the worst feeling in the world". For someone who's whole career rotates around with his wheels, being paralyzed from the waist down would be a tragedy. Bang Bang follows Chase through his 2007 season, including his broken back, his recovery, and his final successes. Take a trip with Aaron, Cam, Kyle, and a bunch of other professional riders through the 2007 season. ‘Tis the season… to get some new parts for your trusty steed at Calgary Cycle! The snow is flying and winter is now in full swing but that doesn’t mean that you can’t indulge in some new bits and pieces for your summer ride. Show your bike some love this Christmas and treat it to new parts from Shimano, Rock Shox and Avid. We’ve got goodies such as forks, frames, components, accessories, gear and clothing on sale for killer deals. 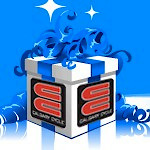 Read on to find out more about the 2008 Year End Holiday Extravaganza Sale! 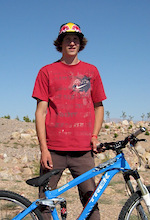 Interbike 2008 - Santa Cruz V10, Nomad and Jackal - The Lost Interbike Files! Santa Cruz bikes are hands down one of the most desired frame manufactures in the world and by looking at the 2009 line up, you'll know why. Since they already have a very versatile stable of frames, it's all about refinements and ground out re-modeling these days. Santa Cruz knows that you can always make things a little better and that riding styles dictate what riders need and want to get out of their bikes. 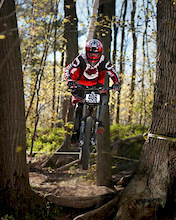 The NW School Of Freeride / Windells Hosts Bike Jams! 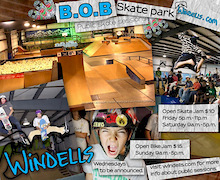 Located on Hwy 26 in Brightwood Oregon, Windell's Snowboard/Bike/Skateboard Camp is the 'Funnest Place on Earth" with many 2 and 4 wheeled options available this winter season. You can spend hours on Concrete Outdoor features, 2 Dirt Jump Lines, A Freeride Trail with "Shore-style" features and a huge Indoor Park complete with Foam Pit. BMX and MTB Bikes of all abilities are all welcome! Syndicate thanks Rennie for Five great years! 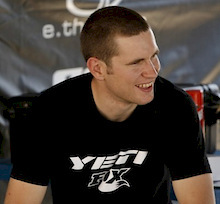 The Santa Cruz Syndicate would like to announce the departure of Nathan Rennie from the squad as he looks to competing in 2009 with a new team (to be announced soon), and express our gratitude for the five years he raced for us from 2004 through 2008. His three year contract with Santa Cruz was up and he has explored other options moving forward in his career and has chosen to race for another team. His big presence and sense of humor will be sorely missed as well as his powerhouse performances on the racetrack. We wish him well on his new team and will continue to be proud of him and his efforts. Brandon Semenuk - Bike Check - The Lost Interbike files! After winning Crankworx Colorado Trek rider Brandon Semenuk turned into a big deal, really fast. Representing big name companies like SRAM, Trek, and Nike 6.0, Brandon is showing all the old timers that a young kid can throw so much steeze even the judges will like it. With a buttery smooth riding style, great line up of sponsors, and a good attitude that follows him everywhere, Brandon has the makings to be the next big deal. Or is he the next big deal already? Gawton - UK riding just got even better! 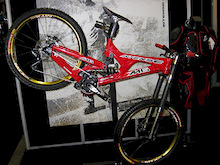 Interbike 2008 - Last of the indoor pics and vids - The Lost Interbike Files! You ever write something for work or school only to lose it before submitting it? You know the old "My dog ate my laptop!" story! Well here are all the "Lost Interbike Files" that just resurfaced from the depths in which they were laying. First is a compilation of pics and vids from the indoor expo, next up is a Bike Check with Brandon Semenuk and lastly is a look at the 2009 Santa Cruz V-10, Nomad and Jackyl. The campaign to have Pidherny authorized for mountain biking continued last weekend with a fund raising effort to cover insurance costs. The area, known as Pidherny to the locals, is on the outside boundary of the city of Prince George, BC. 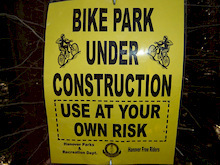 The cycling club is working on a master plan to have the trails authorized for mountain biking. With some work, the whole area could be protected for multi recreational use. The project is formally known as the "Nechako Ridge Mountain Biking Pilot Project" and is sponsored by the Ministry of Tourism, Culture and the Arts. If approved, a network of greater than 20 existing trails (XC & FR) will be mapped, graded and rehabilitated to the Whistler Standard. A skills park with progressive stunts and jumps is also planned. O’Neal signed the Spaniards Andreu and Lluis Lacondeguy for the 2009 season. 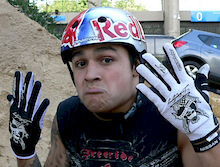 The Rock’n Roll loving dudes are looking forward to keep on riding O’Neal gloves, pads and helmets. This season I have spent the vast majority of my riding days on one bike (which is unheard of for me) and I have to say that I've had a pretty great season. Typically I've had a small stable of bikes that accommodated a variety of riding styles, but this season I decided to try what most people have to do and ride the same bike all the time. The Intense SS was the frame I chose to start with for a variety of reasons, the biggest being its versatility in regards to build up options. 2009 Test the Best with Giant and Specialized. Specialized and Giant bikes announce the return of their popular demo partnership bringing the best full suspension bikes to great riding areas around the UK. I took advantage of an "out of use" frame, my spare parts bin, and winter season bike shop madness to put together a nice little trail bike for my significant other. This is the first of a series of 3 project rebuilds I'll report on this winter, as I juggle around the fleet a little. Click on any of the photos below for a little more detailed view. 3Focus Teaser - Orpheus Productions does it again! 3Focus dives in headfirst to the madness that is the UCI World Cup, and doesn’t come up for air for nearly an hour. Insane high speeds, raw emotions and an eclectic soundtrack make 3Focus a truly entertaining account of life on the road, racing bikes. Stunning scenery, amazing camerawork, and revolutionary shooting techniques are all present, and combined with the pure energy of the racers to produce something pretty damn special. 2008 was the most closely contested world cup season in living memory, and 3Focus is the perfect film to bring it to your living room. Cold? I saw a brass monkey crying on the way there as we cut through the fog and ice to land at the Forest of Dean near Gloucester. No uplift, a 1 minute track, one days entry level racing. Rachel Atherton wins BBC Midlands Sportswoman of the Year! 2008 womens World Mountain Bike champion Rachel Atherton beat stiff opposition last night to be named BBC Midlands Sportswoman of the Year. Rachel who was also nominated for 'Personality of the year' alongside brother Gee claimed the award in front of a star studded audience. Waddell Report: 12 hours to fight for light! After 12 hours of racing and completely jarring every joint in your body from the rough terrain, you come to realize just how long a single night can seem and what you are able to achieve when you're battling it with fellow competitors. Well that's what I found between the hours of 6pm to 6am during the annual Alcoa 12 hour race last weekend, held in Jarrahdale Western Australia . 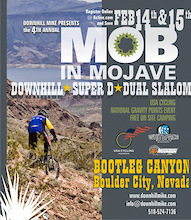 Mob in Mojave is back with some great changes that will make this race one of the best of the year. This race always attracts the best in the west. Since we operate Whiteface Mtn. Bike Park in the summer, we hope to have the best in the west race against the best in the east, in February! I first met Stacy Glaser and a whole band of riders that were all on HUKK bikes a few years ago at the Red Neck Rumble toonie races on Vedder Mountain. We always run into each other on the trails and recently he informed us that he had started to Airbrush helmets when not out riding. After a quick talk and throwing around a few ideas, we shipped him a helmet and he did it up for us! Want to get that date this weekend? Want your friends to hang around you? Want to hold a job and make some cash? Then DON'T get a brain injury! Life can change big time if you get your bell rung too hard and sustain a serious brain injury. Things you took for granted, you may not be able to do.....like hold a drink in your hand, or remember the girl's name standing next to you, or pay for her drink because you won't be able to hold down a job. It's that serious....and it's actually been labeled an EPIDEMIC! 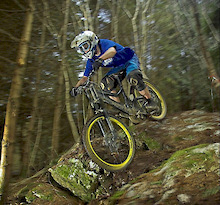 Scottish Descents is Float Productions first full length video. Featuring amateur Scottish riders who really shred. Footage from Dunkeld, Innerleithen, Glentress, Kinnoull Hill, and many more. Read on to find out more and see the film. Justin Leov Signs 2-Year Agreement with Dean Optics! Over the past year, it has been impossible to miss seeing the Crankbros 50/50 pedals out on the hills. They are probably the sleekest looking pedals on the market. So when I was able to to test ride my own set this summer, I was really excited. Nowadays the clothing business is a rough place to be. Basically, you can make or break it. Look back at this past year and think about how many clothing companies have fallen off the radar, or gone bankrupt. Big companies have a firm grip on the clothing, and clothing design industry, and appear to have the ability to guess the next coming trend. It used to be baggy, way to big clothes, and it's now being transformed into a more tight fitting, so to try and guess the movement is as complicated as it gets. Republik MTB has a small lineup of refined clothing, each of which have a unique design or feature, making them stand out from the others. It's nice when you see a small company can make a line up of clothing that appeals to today's youth, but is also functional. Commencal's Meta 55 UK, Limited Edition Complete Bike. If you've been a good boy, very good boy this year then this could be waiting for you beside the fire place come December 25th! Forty-five minutes of gnarly stunts, flowing trails, and rough but scenic riding is what Goldstein Productions’ sophomore film effort promises to offer in Spring 2009. “On the Line” documents some of the best riding on Canada’s West Coast from locals who live the riding lifestyle day in and day out, featuring local riders from Whistler along with international mountain bikers who flock to this mountain biking mecca to live the dream of unparalleled trails, a laid-back party atmosphere, and breathtaking scenery that plays host to a mountain biker’s dream terrain. Dan Barham prints on offer. Not being one for blatant self-promotion (well, not much), I'm not really sure what to write here to make everyone more likely to order up one of the art prints I currently have on sale, at a special discounted price 'specially for Christmas. Either you'll like them or you won't; that's cool, I won't hold it against you. Coming to Aptos, California is every dirt jumper's dream. Aptos is the home of many professional bikers such as, Cam McCaul, Greg Watts, Jamie Goldmen, Alex Reveles, Ryan Howard, and many more to come. The most recognized spot in Aptos is the Post Office. The Post Office has been getting some serious upgrades lately, thanks to Jamie Goldmen, Alex Reveles, Ryan Howard, and many other local jumpers in the off season. Many hours go into digging at the Post Office and it shows because the park is phenomenal. 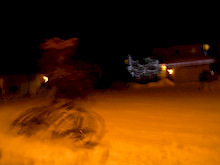 Go to the Post Office any day this time of year and you will see awesome riding going down. Big Mountain Bike Adventures has teamed up with Andreas Hestler, one of North America’s most celebrated cross-country mountain bikers, for a late-March training camp. During the 8-day adventure participants will join former Olympian, 3-time winner of the Trans Rockies, celebrated coach and charismatic athlete Andreas Hestler on this private training camp and learn riding and training techniques to improve mountain bike skills. Round one is in the history books and we're still grinnin' from all the fun! Some challenges with packing the new soil didn't deter the riders from making the most of Ontario's first indoor dirt series in over a decade. The incredible Orangeville Fairgrounds facility was greeted by riders from Kingston to London, with its large track area, heating, grandstands, clean washrooms and full concession it suits the riders and spectators ideally. Today the speculation on the 6 rider line up for the new Trek sponsored World Cup program reaches a conclusion with the announcement that 29 year old Tracy Moseley from near Malvern in the UK has signed up to ride a Session 88 from January 1, 2009. Tracy is one of the greatest downhillers in the sport's history and has a place in a very exclusive club of only 5 downhill riders, male or female, to have won 10 or more World Cup races in their career. Tracy has won her 10 World Cup races between 2002 and 2008, with two of those victories taking place in the past season at the Fort William and Canberra rounds. 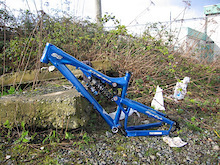 Fanatik Bike will donate 10 new bikes to the Bellingham Boys & Girls Club this spring. The purpose of the donation is to help kids learn bike safety, practice good bike maintenance, build fitness, and experience the fun of being a rider. The donation also includes ongoing upkeep and maintenance of the bikes. 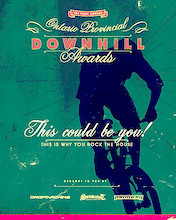 That's right folks the Cycle Solutions O-Cup DH Awards presented by Commencal are back. Sirbikealot Racing believe there are some amazing people, racers and contributors to our sport in Ontario and we want to recognize you!